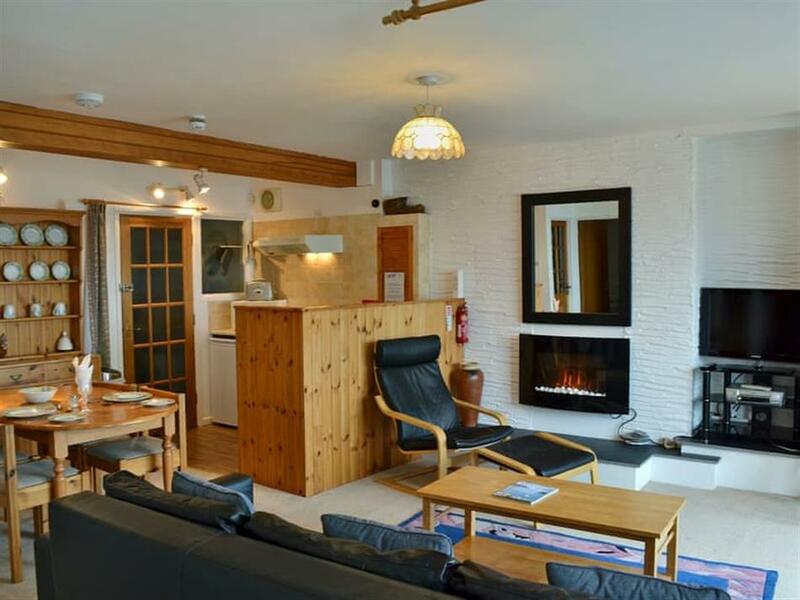 Towan View in Newquay, Cornwall sleeps 2 people. 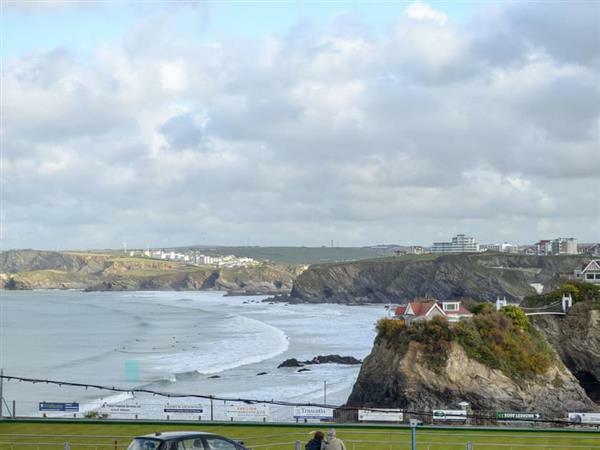 Towan View in Newquay is set above Newquay’s oldest surf shop and with views across the bay; Towan View is the perfect spot to enjoy this bustling town. The town of Newquay sitting around the harbour with its new quay, which is how the town got its name, has something for all tastes including great bars, cafés and restaurants. There are the most beautiful coastal walks along the Gannel Estuary where it’s quite possible you’ll not see another person, as they may be on one of the town’s eleven beaches. These beaches offer something for everyone with some being great for surfing, some are ideal for walking at any time of the year or some are perfect for just relaxing and enjoying the views. There are many beach based bars and activities available including surfing, kayaking, sea fishing and stand-up paddle boarding, as well as horse riding along the estuary. The town’s ornamental gardens, zoo and parks are a must, and with coffee shops dotted alongside the boating lake and at the tennis club, it makes for a perfect stroll. If you fancy a round of golf, the town golf course is a great links course with views across Fistral beach and out to sea. You can also use Newquay as a great touring base as it is situated pretty much half way down this exciting peninsula. The south coast is a mere 15 miles away and you can actually catch the train if you don’t want to drive. In fact, you can get to Newquay by plane, fly in to Newquay Airport and hire a car or grab a taxi into town. Padstow, Fowey, St Ives, Truro, The Eden Project and The Lost Gardens of Heligan can all be easily reached from Newquay and all are highly recommended. The beach is only 300 yards from Towan View in Newquay. With the shop 100 yards, and the pub & restaurant are 20 yards from Towan View. Living area: With electric pebble-effect fire, 32 Freeview TV and DVD player. Gas central heating, electricity, bed linen, towels and Wi-Fi included. Travel cot. Public car park. No smoking. Please note: Couples only. Holidays at Towan View run from Saturday to Saturday. For a better idea of where Towan View is, you can see Towan View on the map below. Towan View is in Cornwall; should you be on the lookout for a special offer, you can find all the special offers in Cornwall. It's always worth checking to see what is on offer at the moment. Do you want to holiday near Towan View (UK10355), you can see other cottages within 25 miles of Towan View; have a look to find your perfect holiday location.